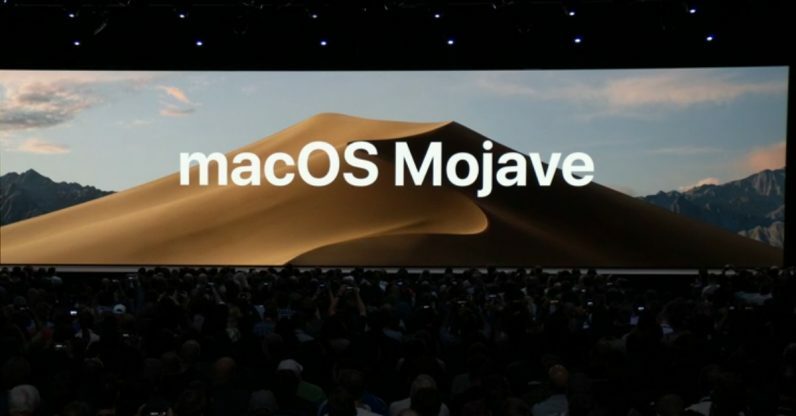 At Apple’s WWDC event in San Jose today, the company announced Mojave, the latest version of its macOS desktop platform with a bunch of updates – most notably, a new dark mode that spreads across the entire interface. That includes windows, the dock, and even apps like Xcode. There are a bunch of new little features that improve usability across macOS. For starters, the Stacks feature quickly cleans up your messy desktop icons. Next, Finder now has a carousel for you to pick files and preview them easily; the sidebar now displays detailed metadata, and also includes buttons for quick actions like rotating a picture without leaving the window. These buttons are contextual, so they’ll change depending on what files you’re looking at. If you select multiple photos, for example, you’ll see an action button to create a PDF file with all of them. Plus, you can customize those buttons to bring up actions you’ll use often. QuickLook also brings similar action buttons. The screenshot tool is also getting an upgrade: capturing your screen now brings up a thumbnail which, when clicked, displays an array of tools for editing and marking up your screenshot, like a magnifying loupe. You can also record a video of whatever’s on your screen, and then drag that clip straight into a presentation. There’s also a Continuity Camera feature, which lets you invoke your phone’s camera from a desktop app that requires an image. Apple demonstrated a document with room for a photograph in macOS, and chose an option from the context menu; it instantly opened the camera app on the iPhone, and retrieved the picture from the mobile device and embedded it in the document. Not bad, but it might have only a small number of use cases. Apple is also bringing its Home control center to macOS Mojave, so you can view all your IoT gadgets’ controls on your desktop, control them with voice commands via Siri, and monitor feeds from connected cameras.